Even people who do not consider themselves as being socially conscious can commit to green living. A lot of people in our community know how important it is to be respectful of the environment and thus, they shop around for Dallas dumpster recycling services that they can rely on to take care of our natural resources. When choosing a dumpster rental company, you have to make sure that the items you deposit in these bins are really being recycled. 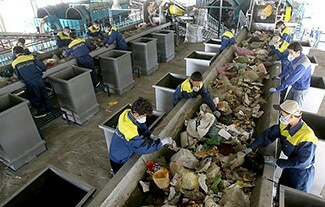 Learning more about the company practices of a waste management business is definitely a good idea. There are only a few easy steps that you will have to take in order to get the information you require. Find companies that employ single-stream recycling systems. With these, all of your recyclable articles can go into a single bin and this increases the efficiency of the recycling process by cutting costs for waste management companies and limiting the amount of energy that you have to invest into separating your articles. When these processes are simplified, people tend to recycle a lot more. As per the website for Business Recycling, a number of other steps are required for finding a recycler that is reputable. For example, asking whether you can inspect a plant in-person is a great way to see whether or not items are being processed correctly. You can also ask these companies to explain the different processes they use as a way of evaluating their level of professionalism. Make sure to see how waste is being routed and how it is reclaimed. See whether you can check out the product bales at the end of this process also. Learn whether third-party organizations have accredited the waste management companies you are considering. This means that professional organizations have deemed them as being trustworthy. Businesses can even share recent performance reports to show their effectiveness in this industry. Last, ask managers if the business has ever been penalized for a failure to comply with government and federal laws. Proceedings such as these are kept in public records and many states keep track of these. You have likely chosen a good company if it has maintained a clean record in recent years. It should not be burdensome for you or your company to recycle items that can be repurposed or reused. By carefully researching your options in recycling facilities, you can make a well-informed decision that will benefit both you and the natural environment. We service the greater Dallas area and we meet all criteria for the effective recycling of a variety of waste products. We are willing to answer any questions that you might have and invite you to take a tour of our state of the art facilities.